A year ago today we got married on a small island at the Four Seasons Resort in Bora Bora. We had always wanted to go there and it is definitely one of the most beautiful places we have been. 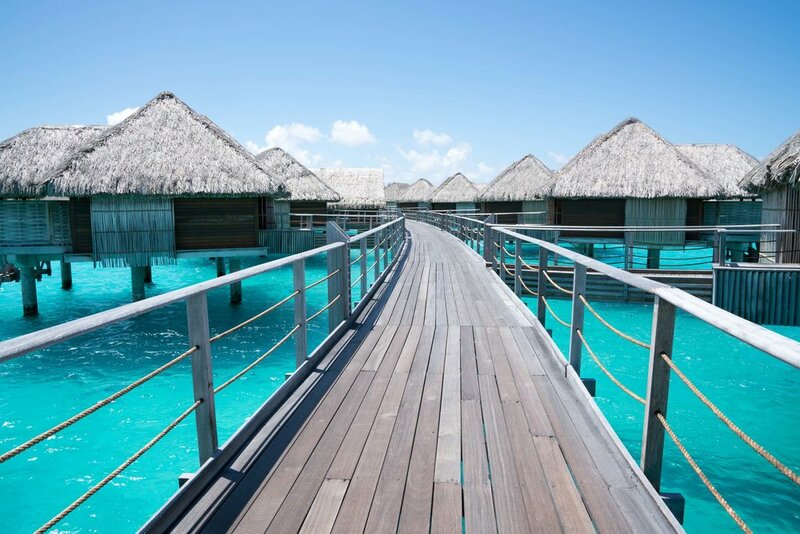 Bora Bora is a small island surrounded by a turquoise lagoon and barrier reef. 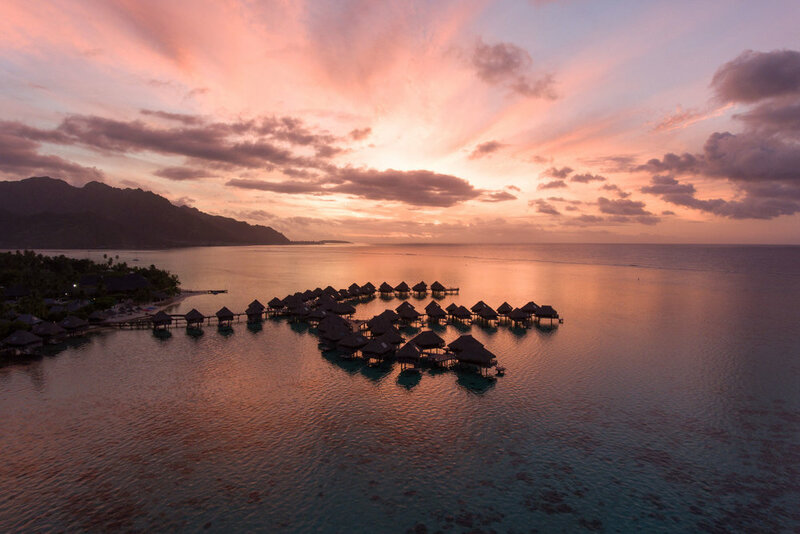 Motus (islets) form a ring around the island and on them overwater bungalows spread out towards the lagoon. Facing inland, you will see Mount Otemanu, the highest peak on Bora Bora at 727 metres. 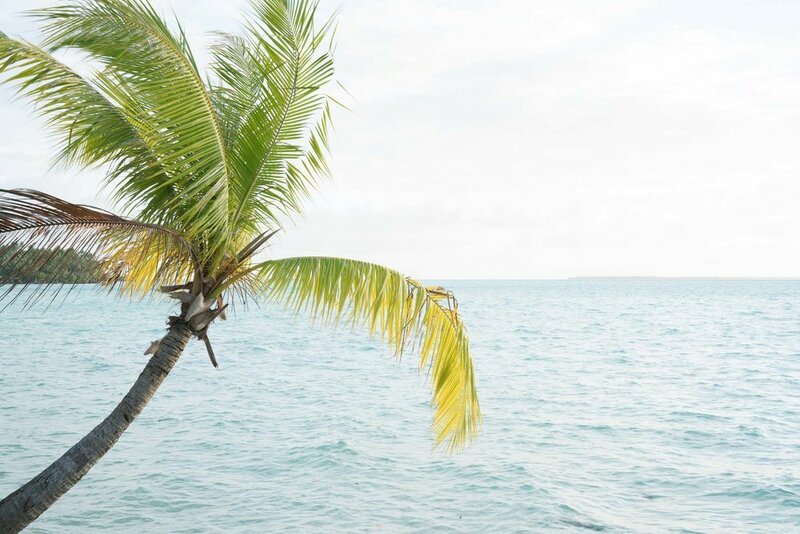 Just like the other islands we visited in French Polynesia, there are a lot of activities to keep you busy, such as snorkelling, boat tours, paragliding, swimming with sharks and manta rays, and of course, getting married. Our wedding day started with photos and video of us getting ready before we met up to catch our private canoe out to the sunset motu for our ceremony. We had a traditional Tahitian ceremony where we exchanged our owns vows before heading back to our bungalow for dinner and sunset. It was a perfect day and turned out to be exactly what we wanted. Le Taha'a Island Resort & Spa is located on a secluded motu (islet) off the island of Taha'a. Of the three islands we visited in French Polynesia, this one felt the most private and unspoilt. Right next to the resort is a shallow coral garden where you can drift snorkel between two motus. 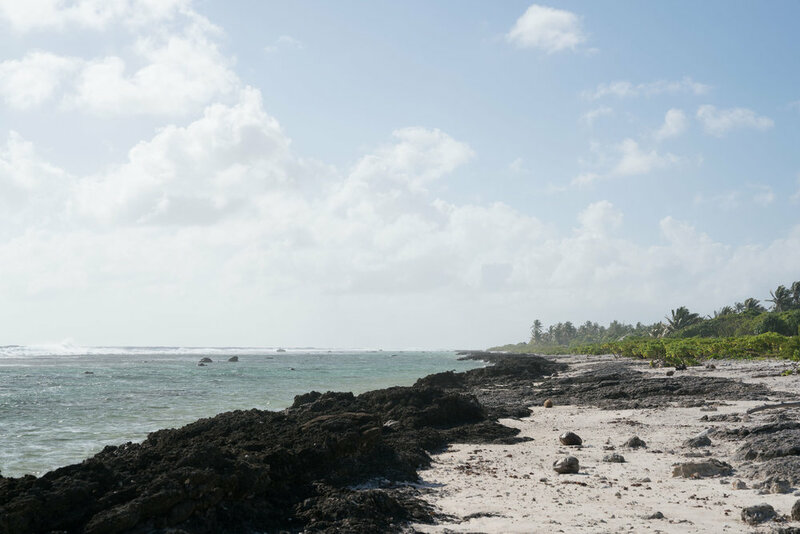 On the main island there are Tahitian vanilla beans and black pearl farms. Off to the distance you can see Bora Bora, our final destination in French Polynesia. A ten-minute helicopter ride took us directly from Le Teha'a to our next resort, the Four Seasons Bora Bora. Nearly one year ago we travelled to French Polynesia for our wedding and honeymoon. The first island we visited was Moorea. 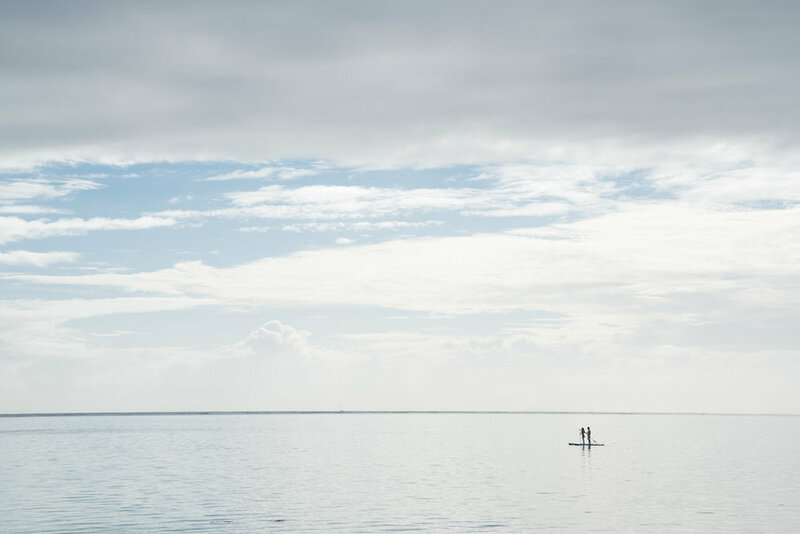 It is only a seven-minute flight from Tahiti, the largest island in the country. Moorea is known for its mountainous interior so we decided to do an ATV tour in order to see the many landmarks, including Belvedere's Lookout, Opunohu and Cook's Bay and an ancient Polynesian temple. The rest of our time was spent snorkelling just off the balcony of our overwater bungalow.